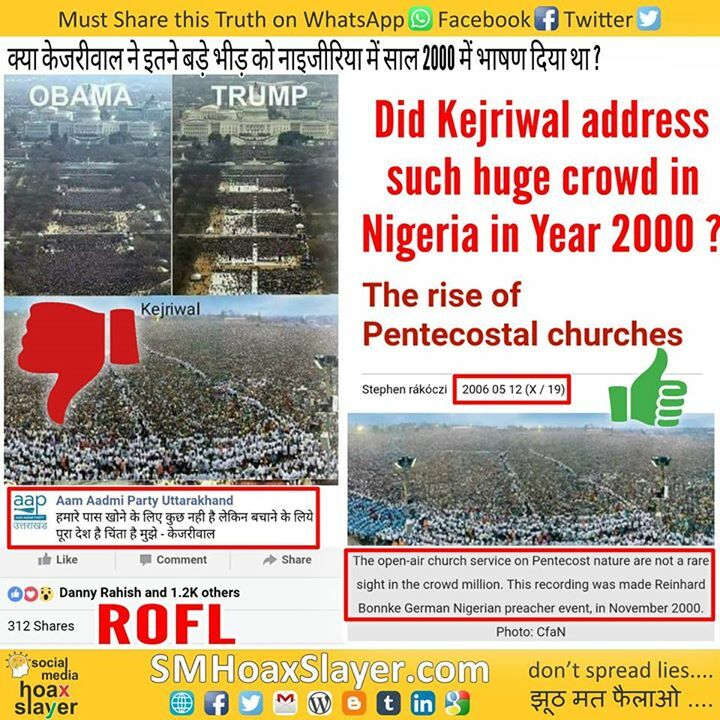 OMG, Did Kejriwal address such huge crowd in Nigeria in Year 2006 ? क्या केजरीवाल ने साल 2000 में नाइजीरिया में भाषण दिया था ? Kiran Bedi’s WhatsApp Source for patriotism.